Five years after the first movie, everything seems perfect in the Viking village as people and dragons work together rather naturally and peacefully. However, Hiccup usually goes flying around to discover new lands, specially now he is being pressured by his father to take on the role of the chief because he doesn’t feel quite suited for it. 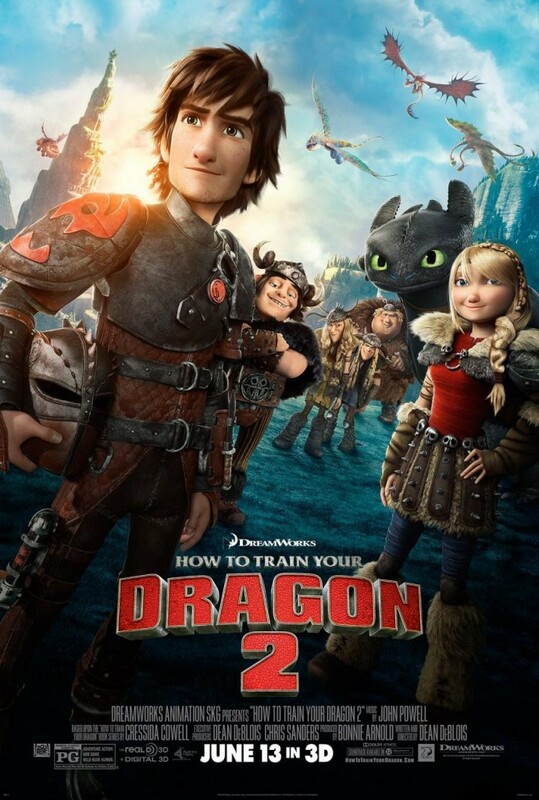 Flying around on Toothless and along with Astrid, they discover a boat covered on ice and meet a dragon trapper named Eret, who blames them for the destruction of his boat. He then tells them he works trapping dragons for conqueror Drago Bludvist’s army who, of course, has evil plans. Alarmed, Hiccup and Astrid go back to the village to warn his father, but upon hearing Bludvist’s name, Stoick orders the village to hide as he remembers him as a merciless man. Hiccup doesn’t agree with him as he thinks they should find Bludvist and reason with him, so he flies away to find him. But he finds a different person first, a person who he thought dead and who has much more similarities to him than he could ever imagined. Then the adventure to stop Bludvist begins for Hiccup and Toothless. And, of course, his other friends who also tag along. Will they save the dragons and the village? The art, the animation. Awesome. Toothless. I love him! Somebody get me a dragon, please. The story, although awkward at times, it’s interesting. Those awkward parts like… SPOILER: Stoick singing to Hiccup’s mom. I couldn’t help but laugh in shame. Was that quidditch at the beginning? Actually, as a Harry Potter fan, I’m not sure if I like it or not… Is it just a (maybe casual) copy or a reference? 8’5 out of 10. I had to drew out some points because of the awkward parts, but the story was good and the animation was awesome.